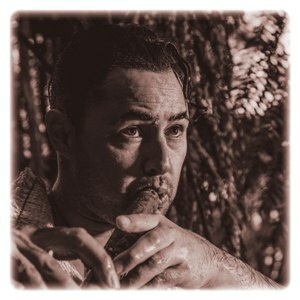 Grammy award winning featured soloist and Maori musical instrument specialist Jerome Kavanagh hails from the Mokai Patea, Maniapoto, Kahungunu tribes (Maori) and the Caomhanach clan (Irish). He was first introduced to the sound of Taonga Puoro at aged 16 by one of his aunties. A family owned Koauau was the first instrument he recalls learning to play. Maintaining his strong roots, Jerome has become part of a movement introducing Maori music, art and culture to the world. Over his career he has performed/recorded with artists from a variety of different genres which range from Hip Hop to Classical. His collaborations include The Royal Philharmonic Orchestra (U.K) Moana and the Tribe (N.Z) Daniel Beddingfeild, Hayley Westenra, Joler Gaan (Bangladesh), Kevin Mark Trail “The Streets” (U.K) and two times Grammy award winning composer Christopher Tin (U.S.A). Jerome joins only a handful of New Zealand musicians as a featured solo artist and lyricist on two time Grammy award winning album “Calling All Dawns” 2011 in “Kia Hora te Marino”. More recently he performed at New York’s prestigious Carnegie Hall and The Lincoln Center alongside Distinguished Concerts New York International orchestra, Sydney Opera house with his band HuiA, The British Museum, Te Papa Tongarewa National Museum, Guest artist at Pasifika festival 2016 and was also a selected member of the New Zealand Art Delegation at the 11th Festival of Pacific Arts in the Solomon Islands. This year Jerome toured India and Bangladesh sharing his Oro Atua Taonga Puoro sound bath experience. Alongside his musical career, Jerome is one of New Zealand’s most prolific Taonga Puoro workshop leaders and Guest Speakers. At present he travels delivering around 250 workshops and Guest talks per year in schools, universities, museums, colleges, community and Events worldwide.